Theresa May’s new chief of staff is facing serious questions in the aftermath of the devastating Grenfell Tower fire in west London after it emerged he delayed a review into fire safety in high-rise apartments. Gavin Barwell, who was the housing minister before last week’s election, took up the role of chief of staff to the prime minister after losing his Croydon constituency seat to Labour. The review had been ordered by the All-Party Parliamentary Fire Safety & Rescue Group following the deaths of six people in a blaze at a high-rise building in Camberwell, southeast London, in July 2009. At least six people died in the Grenfell Tower fire which broke out in the early hours of Wednesday morning. Police say they expect the toll to rise and an investigation has been launched into the cause of the blaze. It is not known whether Grenfell Tower was built to the same specifications as Lanakal House, the Camberwell high-rise. Speaking on LBC Radio, the group’s honorary administrative secretary, Ronnie King, said the Camberwell blaze had not been properly reviewed. “The All-Party Group were looking at the issue of fire suppression in all the tower blocks with similar designs to this,” he said. “And we understand that there are around 4,000 tower blocks that don’t have fire sprinklers fitted into them. 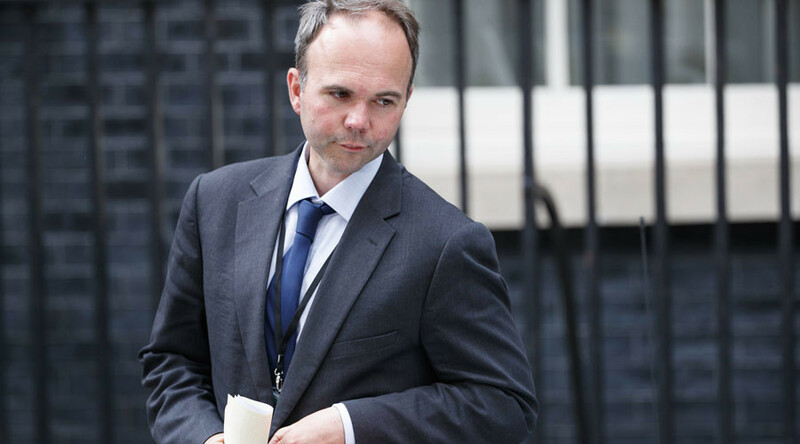 Barwell replaced May’s two former chiefs of staff, Nick Timothy and Fiona Hill, who resigned in the wake of the Conservative Party’s disastrous general election campaign. The author of a book entitled ‘How to win a marginal,’ Barwell lost his seat in Croydon Central by more than 5,600 votes. He had been the housing minister since July last year. May will host a cross-government meeting, chaired by police and fire minister Nick Hurd, at 3:00pm local time Wednesday to coordinate the response to the blaze and the provision of emergency services to those affected. Meanwhile, Edward Snowden tweeted his reaction to the Grenfell tragedy, saying that the idea the event could have been prevented is "shattering." "The neglect here is inhuman," he added.